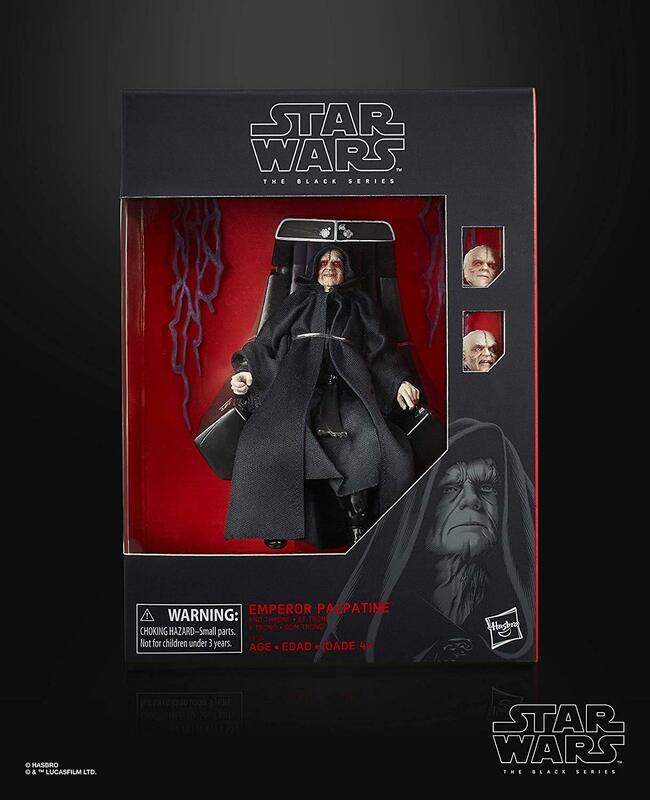 A listing on Amazon, which has since been pulled, has given us our first look at the upcoming Star Wars The Black Series – Emperor Palpatine with Throne. 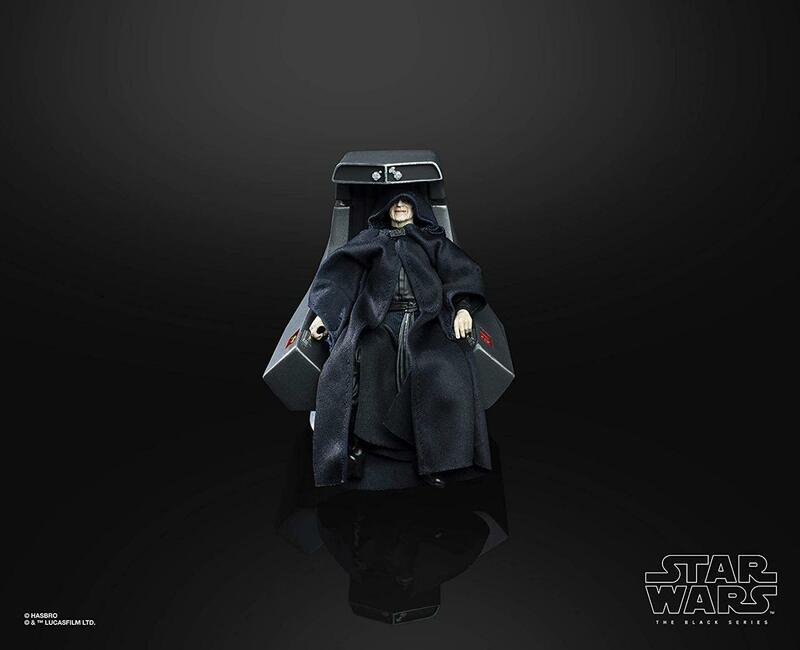 This 6″ deluxe release will include feature The Emperor, his iconic Death Star II Throne, a pair of hands with Force Lightning effects, what looks to be a new robe, and three swappable portraits. Look for this figure to be on hand at Star Wars Celebration Chicago, along with other Hasbro reveals. The images come courtesy of Flyguy.net. They have also revealed that the release will likely be priced at $49.99, with pre-orders starting as soon as April 13th. See the new photos after the jump. Man thats one fancy toilet. 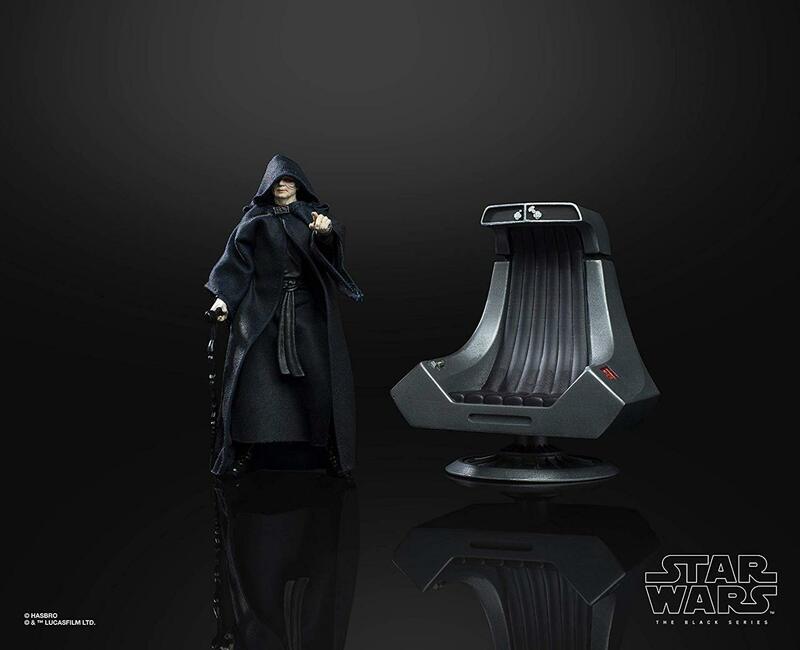 Still much cooler looking than Snoke's throne IMO. YES!!!! That looks fantastic! No better time to be collecting the Black Series line. Those prices though are getting up there. May start getting expensive. You mean to tell me that for $50 bucks you couldn't give us one lightsaber? COME ON HASBRO!!!!! I can't wait to pose him and Yoda fighting with their canes. You can still probably count me in. How great would it be to get this figure with his prequel robes? Target exclusive maybe? The colors would be great for that and it would go great with the Windu we just got. On a side note I have never considered how bad that chair must be for his posture. Look at that, it is terrible, no wonder he is all bent over. Looks like he would always just slide out in the floor. Maybe it is like a sticky rubber to hold him up. He never used a Lightsaber in Return of the Jedi, so I'm not getting the demand (not just on here) for the figure to include it. I see your point but it isn't always about recreating the movie scenes or poses. He does have and use a lightsaber and the ability to pose him with it would have been nice. Character movie portrayal is only half the magic to the Star Wars Universe these days, especially after recent expansion stories. New Movies, Clone Wars, Rebels, Comics, have all really expanded this universe way past what the movies show into what could have happened. I don't necessarily want him displayed chilling in his poor posture chair all the time or even hunched over on is cane. Displaying him with his lightsaber would have been fantastic and a great way to display him with the other Darkside Force users. Also it would have been a cheap way to get a little more justification of $50. Did Yoda use a lightsaber in the original movies? The archive figure comes with one. I don't necessarily want him displayed chilling in his poor posture chair all the time or even hunched over on is cane. Displaying him with his lightsaber would have been fantastic and a great way to display him with the other Sith. But that also gives the the opportunity to do a new, full on prequel Palpatine. Swap out pre and post Force Lightning head sculpts and a Lightsaber. At the end of RotS, didn't he have a black robe and look just like his OT wrinkled prune self? Coulda killed two birds with one stone! Think of it like this, why would a company want to eliminate the chance to sell you a second product? If the opportunity is there to sell a second version of the same character at a later date, that's exactly what they are going to do. Remember, any companies goal (no matter how fan oriented those working for the company are) is to take as much money from you as possible. True...but only after we get 4 new Reys, a half dozen new Kylos, a two Poe Dameron reissues (with face printing! 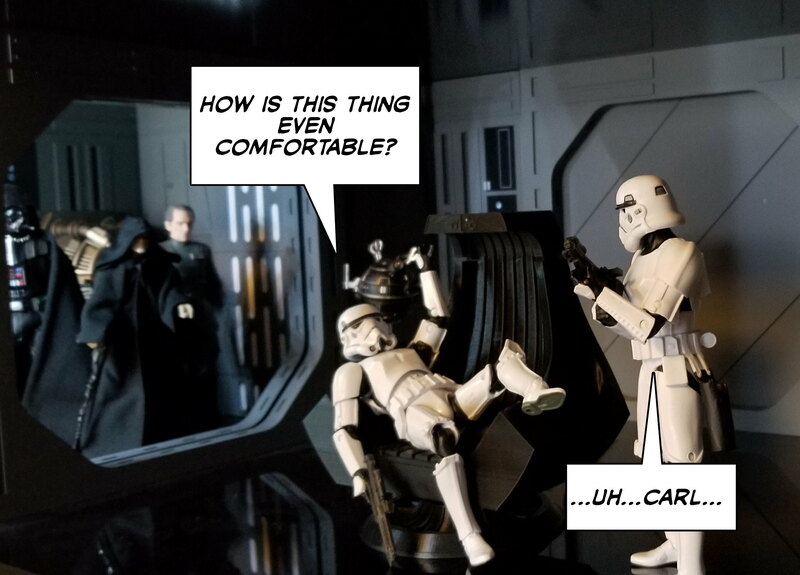 ), and about 8'372 new stormtrooper variations with screen time varying from four seconds to passing thought in the back of of the mind of Lucas while he was sitting on a toilet in a truck stop bathroom in the summer of '81. The original Black Series Yoda came with his lightsaber while Palpatine didn't, and that figure is from his appearance in ESB. 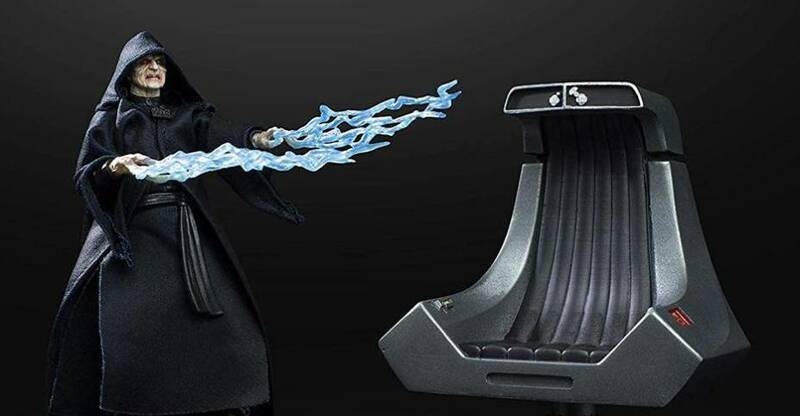 The lightning hands are nice to finally have, but there honestly shouldn't have been a reason why the good senator from Naboo doesn't have his other weapon of choice yet again. This is almost exactly what I had in mind the other day when I was talking to a friend about how Hasbro needed to redo the Emperor. Now I hope they use the Archive line to redo Luke from the Death Star II scenes to go with this, although for general display purposes I'd also like Hasbro to take a shot at Jedi robe Luke from the first act of RotJ. There also isn't much you can include with an ESB Yoda that's all that interesting to justify the $20 price point. Next year they hit the 15th anniversary of Revenge of the Sith. So Palpatine makes a good choice to celebrate that. 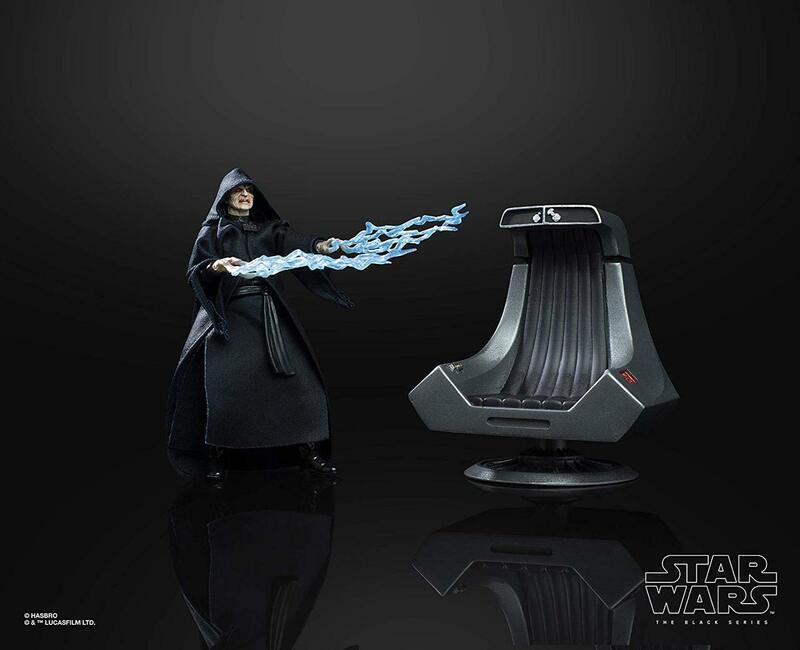 A repacked Mace vs Palpatine 2-pack isn't too far fetched. Now that you mentioned it...leave Mace out of that set and give us the other three jobbers that Palpatine offed for an Amazon four pack. I honestly wouldn't mind having a Kit Fisto in 6 inch scale. My only point though is that Hasbro is really treading some water with Black Series waves as of late...and at the rate we're going, we might not get there. The Black Series has become a source of frustration for me, as the character selection making process is maddening. We got all of Beckett's gang for some reason, but not all of Rogue One's crew. We got all of the antagonists from Solo, the new trilogy, and Rogue One, but we still haven't received some of the major characters from the prequels (Jar Jar, the aforementioned Darth Sidious and Count Dooku come to mind.) We just barely got Amidala, and she suffers from some major engineering issues that make her not a whole lot of fun to play with. Saying "we'll get there" just isn't enough anymore to cheer me up anymore. We've been saying that for over five years now and we still haven't got there in many cases thanks to all of the retreads and questionable making character wise. As crazy as it sounds...a wave WITHOUT a random stormtrooper of some sort (except battle droids...because we do need them) would be a great start. I also would like to see a Rey versus Luke Jedi training 2-pack from The Last Jedi. Boy I sure don't see any "treading water" with Black series lately... Grievous, Gamorrean Guards, Mace Windu, Padme, Battle Droids, Holdo, Dengar... the main Solo cast... Sure, we're still missing a few key players from Rogue One (Bohdi & ...Forrest) but the character selection lately has been amazing with good coverage from all the movies. There was a slow-down for awhile after Rogue One, with so many Jyn and Cassian figures that pegs got clogged up- but I feel they've been on an awesome roll for a while now. Who wants Holdo or any character from Solo though? Kit Fisto, and numerous other Jedi figures from those prequels. We need those and they would be really easy to do. New head molds on old Jedi body's, robes, etc. They are practically the Jedi versions of the Storm Troopers. me. I really have no love for Holdo as a character- but she still makes a nice addition to the Sequels shelf. I also love the Solo collection. Are there plenty of anti-Disney StarWars fanboys out there that have zero interest in anything new? Sure there are- but there are probably a lot more StarWars Fanboys that just want figures of every single character they see on screen no matter what era it came from- that would be me. I'm all for that as long as it isn't some con exclusive. HAHA Bo. That was funny!